Choose from one of our Delicious Lunch Menu Items or Lunch Specials! Our Lunch Specials are Only $6.50! 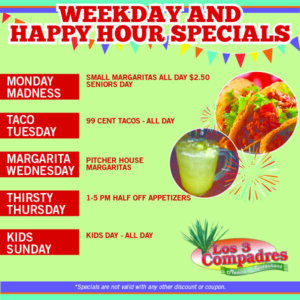 Join Us Monday thru Thursday for an ALL DAY HAPPY HOUR! Cupones - Coupons & Holiday Gift Cards! Click Here to Print Our Most Current Coupon Special! We are a family-owned business and are originally from Mexico. We pride ourselves on always serving fresh, delicious homemade Mexican food and hope you enjoy it as much as we do! 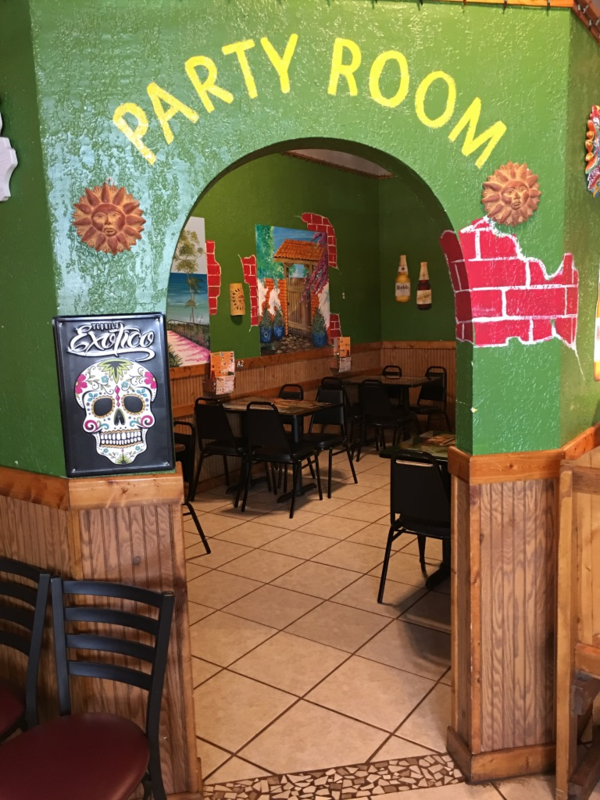 We have an extensive menu which includes Appetizers, Lunch, Dinner, Chef Specials, Fajitas, Desserts and more! We also would be happy to host and cater a party for your family or company. Stay Up-to-Date on Events and Specials! Join our E-mail Newsletter to stay up-t0-date on all of our Events and Specials. We promise to only email you and not share any of your information. Just click the link to the right to sign up!